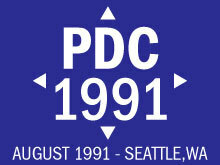 PDC 1991 can be considered the very first PDC and it took place in Seattle. 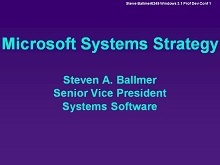 There is no existing video of the event, but we do have three PowerPoint decks that were presented by Steve Ballmer, Jim Dunnigan, and Bob Muglia. 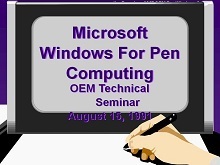 These will give you a nice glimpse into the event's content.